How does one model of hard disk compare to another in terms of what you get for the money? If you[HTML_REMOVED]re looking to buy a 400gb disk, does it make sense to spend a little more for a 500gb disk? or are you paying an excessive premium for that extra 100gb? 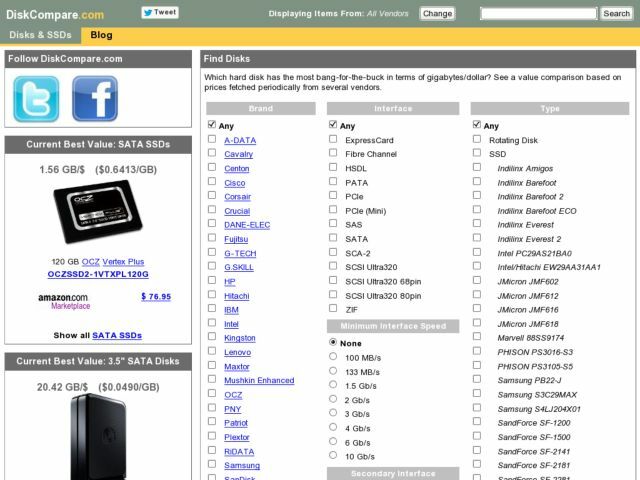 DiskCompare.com provides tools for comparing the relative values of hard disks based on prices fetched regularly from Newegg, along with relevant reviews and price change histories.